Grupo Ferré Rangel, a Puerto Rico-based family office known for its focus on high-growth companies, has launched a new wholly owned subsidiary, Kingbird Properties, to expand its real estate portfolio in the U.S. and Latin America, the company announced. Boston-based Senior Managing Director Kenneth A. Munkacy, who brings more than 25 years in U.S. and international real estate investment experience to the company, will lead kingbird Properties. Antonio Luis Ferré-Rangel, chief operations officer of Grupo Ferré Rangel, will serve as Kingbird Properties Chairman and CEO. Grupo Ferré Rangel owns and invests in a consumer-centric diversified portfolio that includes media, real estate, printing, distribution, and digital marketing solutions industries. 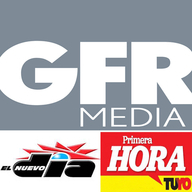 It owns El Nuevo Día and Primera Hora newspapers, and is currently locked in controversy with its unionized employees who are facing benefit reductions and possible layoffs. The company claims the economic devastation left in Hurricane María’s wake is to blame. The company holds real estate in Puerto Rico, including City View Plaza, a real estate development in the San Juan metro area, as well as in the continental U.S. and Chile. In the U.S., Grupo Ferré Rangel has a history of making significant investments in multifamily housing, and has been active in multiple markets over the past few years. Kingbird Properties’ investment approach will be to seek risk-adjusted opportunities to expand their portfolio in the U.S. and in Latin America, particularly in secondary and tertiary U.S. markets. They will use the family office’s own capital, and form partnerships with third-party investors, other family offices and local operating partners. Investments are expected to commence immediately in the Indianapolis, IN and Columbus, Ohio markets, then expand into other markets thereafter. “We see great potential to focus on long-term value creation by working with other investors to capture opportunities in secondary and tertiary markets. We see growing demand in smaller cities, particularly in the workforce housing sub-sector,” said Ferré-Rangel. “We are confident that under Ken’s proven leadership, diverse background and broad expertise, Kingbird Properties will greatly benefit from his experience and knowledge to quickly become a trusted capital partner that will make sound strategic investments,” he said. Munkacy has worked on real estate investments and managed real estate operating platforms and projects in 15 states and 16 countries. He joins Kingbird Properties after ten years with Boston-based GID Investment Advisors, where he was a member of its executive committee and was responsible for its international real estate strategy, investments, joint ventures and portfolio companies. Munkacy previously held senior executive positions with GE Capital, Starwood Capital, TrizecHahn, and Golub & Company. He currently serves as vice chairman of the Global Exchange Council with the Urban Land Institute and is a member of Pension Real Estate Association. “Grupo Ferré Rangel has given me a timely and strategic opportunity to lead a new real estate investment management firm that combines a savvy, entrepreneurial investment approach with the backing of a well-established and diversified family office,” said Munkacy. Hey Buddy!, I found this information for you: "GFR launches real estate investment firm subsidiary". Here is the website link: https://newsismybusiness.com/launches-investment-subsidiary/. Thank you.